The stud houses a nucleus of a twelve mares, including a couple from our original family of Bolshoi a dual Group 2 winner and winner of the King's Stand Stakes at Royal Ascot. Also a half sister to Garswood, winner of the Group 1 Prix Maurice De Gheest and Group 2 Lennox Stakes from the family of Infallible plus the dam of G.3 hurdle winner Elgin for Elite Racing Club. Aiming (Highest Honor (FR) ex Sweeping) in foal to Twilight Son. Steal the Curtain (Royal Applause ex Ellebanna) filly foal by Mayson, in foal to Fast Company. Whatami (Daylami ex Wosaita) colt foal by Lethal Force, in foal to Oasis Dream. Mabinia (Cape Cross ex Pretty Sharp) colt foal by Epaulette, barren. Archina ( Arch (USA) ex Cross Your Fingers (USA) colt foal by Sea The Moon, barren. Tickle Me (GER) (Halling (USA) ex Tickle Me Pink) in foal to Sea The Moon. Lonely Rock (Fastnet Rock ex Aiming) colt foal by Ifraaj, in foal to Australia. Wotnot (Exceed and Excel ex Whatami) colt foal by Fast Company, in foal to Garswood. King's Miracle (King's Best ex Pretty Sharp) colt foal by Havana Gold, in foal to Aclaim. Quiet Elegance (Fantastic Light ex Imperial Baliwick) filly foal by Bobby's Kitten, in foal to Fast Company. China Tea (USA) (High Chaparral ex Molasses (FR)) in foal to Sea The Moon. 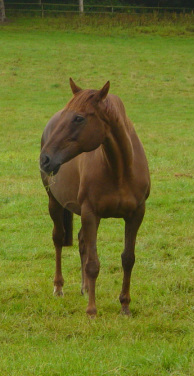 Zest (Duke Marmalade ex Affintity) in foal to Oasis Dream. Marlinka (Marju ex Baralinka) in foal to Frankel. 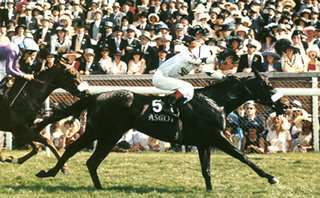 Bolshoi winner the King's Stand Stakes 1998. Furnace Mill Stud, Wyre Forest, Nr Kidderminster, Worcestershire, DY14 8NR.